The Ultima™ Series cardiorespiratory diagnostic systems offer maximum flexibility to configure both pulmonary function testing (PFT) and gas-exchange systems. We offer the latest technology and sensors for unparalleled performance and reliability. The fully adjustable desktop allows for expansive personal workspace whether the technician is sitting or standing. Our powerful BreezeSuite™ cardiorespiratory diagnostic software provides simple, one-button testing. 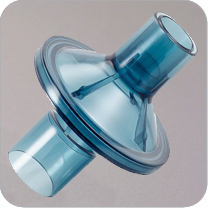 Our proprietary preVent® flow sensor maximizes lab efficiency and infection control while meeting or exceeding ATS/ERS standards and specifications. We offer the latest technology and sensors for unparalleled performance and reliability. Real-Time Diffusion provides visualization of the alveolar gas sample. Automatic gas calibration saves testing time. Ultima PFX pulmonary function/stress testing system interfaces to a wide array of external peripheral devices: digital and analog. Ease of use allows operator to focus on patient's effort. Timely prompts guide the operator through the entire testing process. Powerful Microsoft® SQL database provides flexibility in accessing, manipulating and reporting data. Automated quality-assurance program notifies operator to ensure results comply with ATS/ERS acceptability criteria. BreezeSuite™ cardiorespiratory diagnostic software allows physicians to access data and interpret patient results from any computer that has permission to access the facility network (VPN). test results that meet ATS and ERS standards.